Receive 4 First Family Course Certificates that you can sell, transfer or donate to anyone who has not yet attended a course at Front Sight. Certificates good for one person to attend a Four Day Defensive Handgun, Tactical Shotgun, or Practical Rifle Course. Two people may use the same certificate to attend a Two Day Defensive Handgun, Tactical Shotgun, or Practical Rifle Course. Certificates have NO EXPIRATION. GUARANTEED PLACEMENT in the free of charge courses listed above with Two Weeks Advance Notice. Invitation to attend the annual July 4th First Family Reunion at Front Sight Las Vegas. 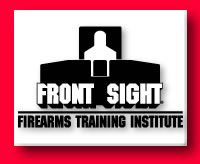 Access to exclusive and restricted areas of the Front Sight First Family Website and E-Mail Forum. One payment of $6900. A savings of $2000. Complete the online Secure Membership Enrollment Form below!